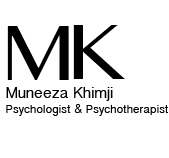 “ I decided to go for it and follow the Yellow Brick Road that Muneeza had set for me following the EMDR protocols. 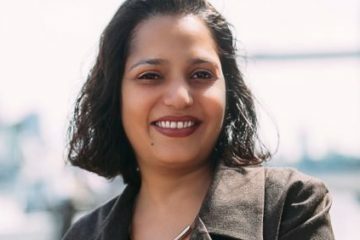 It was absolutely mind-blowing"
You may be experiencing a period of crisis in your life, or you may be feeling that you need help with longstanding issues that will not go away. It can seem like a big step to contact a therapist, but many people find that it is a huge relief to be able to see someone in complete confidence. Reaching out to seek professional help is not an easy step to take, however, it is a brave one. As a Harley Street Psychotherapist and Psychologist with more than 18 years of experience I believe that each individual is unique and is looking for a personal approach to find resolution, closure and a new way forward. I specialise with adolescents, adults and couples. Some of my main areas of focus are working with individuals who suffer from symptoms of depression, anxiety and panic attacks, trauma and phobias. CBT therapy and EMDR are extremely effective techniques for working with these areas. I have extensive experience as an integrative therapist, which allows me to draw from different schools of psychology and psychotherapy in order to facilitate growth and healing. I am also currently undertaking a diploma in adult supervision in order to expand my knowledge and to give back to the therapeutic community. In addition to my therapy practise, I am an author of two self-help psychology books which can be found on Amazon. Both of these published works are a reflection of my experience with all the clients that I have been honoured to work with. As well as London (Harley Street and Oxford Circus), I have practised psychology and psychotherapy in Canada, Kenya and Dubai. This has provided me with extensive experience with a diverse set of clients from all walks of life. My offices are located in Central London, and the closest station is Oxford Circus.